Description: In 2012, the Higgs boson was discovered at the Large Hadron Collider in Geneva, Switzerland. I will explain what this Higgs boson is and why it is so important that we spent 10 billion dollars to build an enormous collider (and detectors) to find it. I’ll introduce the complex experiments that we use to study the Higgs and explain how we actually go about measuring its properties. I will also review what we currently do and don’t know about the Higgs, while focusing on some of its weird features. We’ll conclude with a short discussion about what the Higgs boson might tell us about the future of the universe. Heather Gray is an Assistant Professor in physics at UC Berkeley/Lawrence Berkeley Lab. She splits her time between Berkeley and Geneva while working on the ATLAS experiment at the Large Hadron Collider. She specializes in the Higgs boson and also works on silicon pixel detectors and algorithms to figure out the paths of particles based on the information they leave in detectors. Heather is originally from Cape Town, South Africa, where she did her undergraduate degree and spent 7 years working for CERN in Switzerland. When not at work, she can usually be found in the mountains or the ocean. Description: The plant microbiome has proven to be an essential and often overlooked aspect of plant physiological ecology. Plant interactions with microbes are thought to have enabled the transition of plants from aquatic to terrestrial systems and the co-evolution of these relationships has been shown to have important consequences for plant performance, nutrient cycling, and potentially even plant species ranges. However, our knowledge of these processes derives from only a few model systems. Claire’s dissertation research explores these relationships in coast redwood forests where, despite their notoriety, plant-microbial relationships remain unexplored. Redwoods are the largest and some of the oldest plants on Earth, yet their geographical ranges are very constrained. As such, redwood forests serve as an excellent system to explore plant-microbial interactions and how they might expand or limit species ranges. Claire Willing is interested plant-fungal symbioses including with mycorrhizal fungi, a group symbiotic, root-associated fungi. Her work has taken her from throughout the coast redwood range up through the Sierra Nevada mountain range, and most recently, even to Brazil. Her overall interest is in linking fungal community ecology to plant physiological performance, a trend which she hopes to continue to explore throughout her future work. Redwoods, Roots, and Fungi Talk Teaser from Marin Science Seminar on Vimeo. How can we meet the computational challenge of modeling and monitoring earthquakes in real time, and how can we anticipate and prepare for natural disasters? Diego Melgar, Ph.D. of the UC Berkeley Seismological Laboratory, is investigating these questions and more. As an assistant researcher, he develops earthquake models and tsunami warning systems using high-rate GPS data, paving the way for better earthquake preparation. 1. How did you first get interested in seismology? I grew up in Mexico City, where earthquakes, volcanoes, hurricanes and other natural hazards are a fact of life. I’ve also always liked math and physics, and so, when it was time to go to college and select a program, I looked around and I found a geophysics degree at the National University that studied the Earth and its physics with lots of math. It seemed like a great idea to me! 2. What are some of the most challenging aspects of modeling natural disasters in real-time? That they are complex and that measurements are sparse. Many things are going on during an earthquake or any other natural hazard, they’re really complicated! Saying something about them very quickly with sparse observations and being right about it is a real challenge. 3. How do you go about making tsunami propagation models more efficient? We run them in parallel on bigger computers. We can now make very detailed models of the tsunami in less than one minute. 4. How does the technique of real-time monitoring impact geological research and natural disaster preparation? Basic research allows us to find out what are the laws of physics and chemistry that make earthquakes and other hazards do what they do, it lets us find about what makes the Earth tick. In turn, the more we know about the physics and chemistry of the Earth the more intelligent we can make our warning systems, we can provide more relevant and precise information in shorter periods of time. 5. Tell us about your work in analyzing the magnitude 7.8 earthquake in Nepal: what did you discover about its source? Nepal was a very interesting event because in spite of the fact that there were thousands of casualties and widespread destruction, it really could have been a lot worse. Given the state of development of the country we could have easily seen 150,000 casualties like we did in Haiti in 2010, but we did not. After some research we learned that part of the reason for this is that the earthquake rupture was very smooth and that smoothness lead to less shaking than we would have expected. 6. Finally, what advice do you have for students who are interested in seismology, geophysics, or signal processing? Learn physics, learn math, and learn computers. Earth sciences are an incredibly rich field where these tools are really important. But also go outside, go hiking, look at rocks, notice how each one is different and wonder where they came from. The Earth is a beautiful laboratory and we should enjoy it with our minds but we should also go out and experience it. To find out more, watch Dr. Melgar’s Marin Science Seminar presentation on November 18th, 7:30-8:30 pm at Terra Linda High School, Room 207. Dr. Amber Sciligo, a scientist in the department of Environmental Science, Policy, and Management at UC Berkeley, researches the interactions between insects, plants, the environment, and human economies. Whether she directs her focus to examining self-fertilizing carnivorous plants, observing how native bee communities enhance crop pollination, or finding the optimal level of crop diversity for sustainable farming, Dr. Sciligo’s research has important implications for the wild world of botany. Attend her research presentation at Terra Linda High School, Room 207, from 7:30-8:30 pm on October 21st. 1. How did you originally get interested in ecology and evolution? Multiple life events led me down this path. The first was in my high school biology class, when I was taught how to catch insects and curate them as if they were to be kept in a museum (arrange their body parts and pin them so that they would dry out and be preserved). I LOVED it. I thought I would become an entomology museum curator. By the time I entered college though, I had changed my interests and thought I would save the dolphins (this was back in the 90s) and signed up for the marine biology major at UCSC. Then I took a scuba class in my sophomore year and damaged my ears. I realized my place was probably not underwater, so I changed my major to Ecology and Evolution, a new major that had the same prerequisites as marine biology. That’s when I took another entomology class, curated insects again, and was reminded how much I loved them! So from then on, I took classes that allowed me to specialize in the ecology and evolution of plant-insect interactions. And the rest is history. 2. Why did you decide to research sundew plants? I kind of fell into the study system. Normally, one picks a study system to ask a research question. In this case I had my question in mind (is there pollinator-prey conflict in carnivorous plants in New Zealand and how do they deal with it?) without more than a vague idea of where I would conduct the work. I knew I wanted to study carnivorous plants and to ask this question. I knew that I wanted to go to graduate school in New Zealand. And when I put the two together, I landed on the system of Drosera (sundews), because it was the only feasible carnivorous plant that New Zealand had to offer. At the time, I didn’t realize that Australia, just a hop, skip and a jump away, had close to 200 species of carnivorous plants of many types, while NZ only had 12 species of two types. But I had chosen NZ, so sundews are what I got! 3. How do carnivorous plants satisfy their needs for insect pollinators and insects as food at the same time? They do a pretty incredible job attracting different kinds of insects to their traps and to their flowers, usually by visual cues such as colors, or by emitting different smells from the traps and flowers. Often, smaller insects like ants and tiny flies will get trapped as prey, which provides the plants with the nutrients they need. Larger flies and bees will visit the flowers to provide pollination. Sometimes pollinators get trapped as prey. Maybe they were visiting the flowers and the trap was too close and the pollinators fall in or get tangled up. This can be bad for the plant if they need that pollinator to bring pollen from another flower in order to make seeds. But if the plant doesn’t need this, if it can self-fertilize without many inbreeding consequences, then catching a big juicy pollinator would provide a great feed for the plant. 4. What impact will your research on crop diversification and bee communities have on agriculture? My current work is looking not just at how crop diversity improves native bee communities, (which is an important finding on its own as it demonstrates a way to leave land in production and support biodiversity at the same time), but also how crop diversity and other practices such as crop rotation, cover cropping, mixing annual and perennial crops, and planting flower strips or hedgerows affect multiple ecosystem services at once, e.g. pollination, natural pest control, and soil and air quality. This allows us to see whether farming techniques that improve biodiversity on a farm provides benefits or tradeoffs to ecosystem services (e.g. plants that attract pollinators might also attract pests, but then they might also attract natural predators of those pests). Farmers don’t think about each of these things independently, they see their farms as a whole system with pests and pollinators, and birds and everything else all interacting at once. So it’s important that if we are going to conduct research that results in management recommendations, then we need to study the farm as a whole too. Otherwise we might make conservation recommendations that are unfeasible and won’t be adopted. 5. What’s your advice for high school students who are passionate about ecology and environmental science? Find what aspects about these fields specifically interest you and dive in! If you have a more broad interest then seek out as many opportunities as you can to expose yourself to multiple aspects of these fields (there are many) and run with those that bring you the most curiosity and excitement. Volunteer to teach younger children or other community members. Teaching is the best way to learn about something. And look for opportunities to work in research labs at universities. There you can learn what parts of the scientific process you like the most. And maybe you’ll find a system that really fascinates you and you can end up studying that for a senior thesis project at a university, or on your own if you prefer. I would add that while the scientific research world needs enthusiastic students like you, there are many important roles for people who love the natural world: scientific research is one way to go, teaching in schools or public forums is another, or sharing your values through writing, painting, song or other artistic avenues is also a great way to inspire others around you to pay attention. 6. One last question: do you have a favorite carnivorous plant? Well, to be honest, I’m not really familiar with too many species. In NZ, there are only 12 species and most of them are really, really small and easy to miss. For instance, my study species ranged from only 1/2”-4” in height. I always wanted to find Drosera pygmaea, whose sticky-trap rosette is only 0.25” in diameter!! It’s no wonder I never found them though…they are so small. I am also fascinated by the bladderworts (Utricularia spp.). They too are very small and were also at my study sites. You can only spot them when they send out a tiny flowering stalk from the body of water in which they reside. The traps are underwater and act like a vacuum to catch tiny swimming insects. I don’t know how they manage to lure the insects into their little bladders, which is why I find them so interesting. They also have very pretty flowers of bright colors, which is not characteristic of the sundews. To find out more, come to the upcoming MSS presentation at Terra Linda High School, on Wednesday, October 21st, 7:30 to 8:30 p.m. at Terra Linda High School, 320 Nova Albion Way in Room 207. Driftwood is a common sight on beaches, but what happens to driftwood when it sinks to the seafloor? Dr. Jenna Judge, a recent doctoral graduate of UC Berkeley’s Department of Integrative Biology, researches evolution and ecology in deep-sea habitats, such as driftwood, as well as hydrothermal vents and sunken whale bones. Her research shows that these unusual substrates host diverse, lively communities shaped by the wood they inhabit. Attend her research presentation at Terra Linda High School, Room 207, from 7:30-8:30 pm on September 9th. 1. Why did you decide to become a marine biologist in the first place? Well, I grew up in the mountains, but I was always interested in nature and science. I also loved the beach when my family would go on camping trips to the coast. However, I really decided to pursue marine biology in high school after learning about extreme deep-sea environments and the strange animals that live there from my AP Biology teacher. From there, I looked for colleges that offered a marine biology major for undergraduates and went to UC Santa Barbara. My interests in the ocean and the deep sea in particular were reinforced with each class I took and especially the semester abroad I spent in Australia doing a marine biology program. At the time, the obvious next step for me to take was to apply to graduate school to pursue a career as a marine biologist. While this route has served me well, I usually advise college students to take some time after graduation to explore options before jumping into graduate school. It is a big decision, and it’s important to have a strong sense of yourself and what you want to get out of an advanced program before choosing a program and an adviser. 2. How did you decide to research driftwood? I ended up studying sunken wood as a habitat for deep-sea animals after learning that the communities on wood are similar to other deep-sea ecosystems I was initially interested in, but had been much less studied. These ecosystems were hydrothermal vents (basically deep-sea volcanoes), cold seeps, and whale falls, which I’ll explain more about in my talk. Due to a series of conversations with scientists at the Monterey Bay Aquarium Research Institute, I was given the opportunity to test whether the kind of wood matters in shaping animal communities by sinking a bunch of wood at about 2 miles deep and waiting 2 years to see what happened. You’ll see what happened during my talk. 3. How does your work on communities that form around driftwood relate to other ecosystems? The experiment I did on sunken wood showed that, like forests and other terrestrial (land) ecosystems, the immediate habitat can act as a filter that shapes the community that colonizes that habitat. This means that the ocean isn’t just a big bathtub with a soup of organisms floating or swimming through it, but that even on small scales, the complexity of a habitat can significantly affect who decides to settle down there. I see all ecosystems as a connected web across the Earth, and I am especially interested in links between the land and the ocean, like wood, but also how the increase in artificial materials like plastic is affecting marine ecosystems. 4. What advice do you have for high school students who aspire to be biologists? Follow your curiosity! Ask questions and read about what interests you to keep learning and following your interests. Reach out to people who are doing things you find interesting. Scientists are always happy to hear from people who appreciate what they are doing, and it will help you learn more about what it might be like to pursue certain career paths. And once you have some ideas, research colleges that will support that passion and allow you to fully explore and develop your passion. You might find that the best program for you isn’t at the “top” university in the state or the country. For me, I was only looking at CA schools, and I was really excited about marine biology. So, I focused on applying to schools that had specific aquatic or marine biology majors like UCSB and UCSC, but I did not bother applying to UC Berkeley or UCLA even though they rank higher overall. I encourage you to find a good fit for your interests (and of course a good personal fit!) when choosing a college, and if you don’t have a clear idea about what you want to pursue (most people don’t, I was unusually focused), take your time. If you are looking to pursue marine biology in particular, here is a good site that lists all the programs across states: http://marinebio.org/marinebio/careers/us-schools/. 5. One final question: do you have a favorite driftwood-dwelling creature? My favorite wood-dwelling creatures would have to be limpets, since they are what led me to studying sunken wood in the first place. Limpets are snails that have no coil in their shell and a particular group of them are specialized to live in a wide range of deep-sea habitats, including hydrothermal vents, cold seeps, whale falls, and sunken wood. They also live on empty shark egg cases, crab carapaces, worm tubes, squid beaks, algal holdfasts, and likely other organic substrates that sink to the bottom. Join us Wednesday, September 9th, 2015, 7:30 – 8:30 pm at Terra Linda HS, 320 Nova Albion, San Rafael – Room 207 – to hear Dr. Judge talk about her work. Link to Dr. Judge’s Marin Science Seminar profile. Black holes. Don’t let the name fool you: a black hole is anything but empty space. Rather, it is a great amount of matter packed into a very small area. Scientists can’t directly observe black holes with telescopes that detect x-rays, light, or other forms of electromagnetic radiation. They can, however, infer the presence of black holes and study them by detecting their effect on other matter nearby. Steve Croft, an astronomer at the University of California, Berkeley, uses a new radio telescope, the Allen Telescope Array to study. 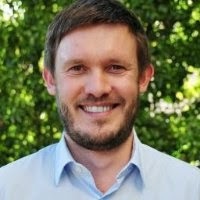 He grew up in England, where he received a PhD in astrophysics from Oxford University in 2002, before moving to California to work as a postdoctoral researcher at the Lawrence Livermore National Laboratory. Read the following interview to learn more about Dr. Croft’s life and work as an astronomer. 1) How did you decide to enter your field of work? I’ve always been fascinated to understand how things work. We’re all born scientists and explorers at some level. Even as babies we learn about the world around us by trying things out, taking things apart, and performing experiments. I got particularly interested in space when a neighbor bought me a book about astronomy when I was probably about eight years old. My parents bought me a small telescope at about twelve that I used to look at craters on the Moon and the rings of Saturn. I continued to read astronomy books and watch astronomy TV shows, as well as being fortunate to learn math and science from some great school teachers. I chose to study astrophysics for my undergraduate degree at University College London in the UK, and particularly enjoyed hands on experience with large telescopes at the University of London Observatory. That really confirmed for me that I wanted to be an observational astronomer, so I ended up doing a PhD at Oxford University, using some of the world’s largest telescopes to study the growth and environments of supermassive black holes. I moved to California in 2002 and worked at the Lawrence Livermore National Lab for 5 years where I was a member of a small astronomy research group. I got to use the Keck Telescopes in Hawaii – the largest optical telescopes in the world – as well as the Hubble Space Telescope and many others. I’ve been at Berkeley since 2007, and I’m currently working on one of the most cutting edge radio telescopes in the world as part of a big international team. 2) Describe your typical day at work as an astronomer. What are your favorite and least favorite parts of your job? I travel a lot for work. I just got back from a month in Australia. I spent most of the time there working with colleagues at the University of Sydney, but I also traveled to Melbourne for a couple of days to give talks, as well as out to the site of the telescope I’m working on, in the remote Australian outback. Last year I traveled to South Africa and Italy for conferences, as well as several trips within the US for meetings. The travel is one of my favorite parts of the job. Meeting new people and exploring new ideas, as well as seeing new places, are important to me. When I am in the Bay Area I go into the office most days, although sometimes I work from home or have meetings offsite. I work in a regular office which I share with another astronomer. Most of my work is done using an iMac computer with two big screens, but I log in remotely to more powerful computers (including one with 256 GB of RAM and many TB of storage) to analyze the data from the telescopes I’m using. More often than not I’ll have a meeting or two, or attend a seminar. Sometimes I’ll have informal discussions with colleagues over lunch. I read papers written by other astronomers to keep up on research in my field. I also do a lot of education and outreach programs, including working with high schoolers. Last year we launched two high altitude weather balloons with GoPro cameras attached to the edge of space. That was really exciting. I guess my least favorite part of the job is that I always have so much going on, including a ton of emails waiting for me to respond to. It’s great to be in a job that’s stimulating but sometimes I feel like I will never get to the bottom of my to-do list. 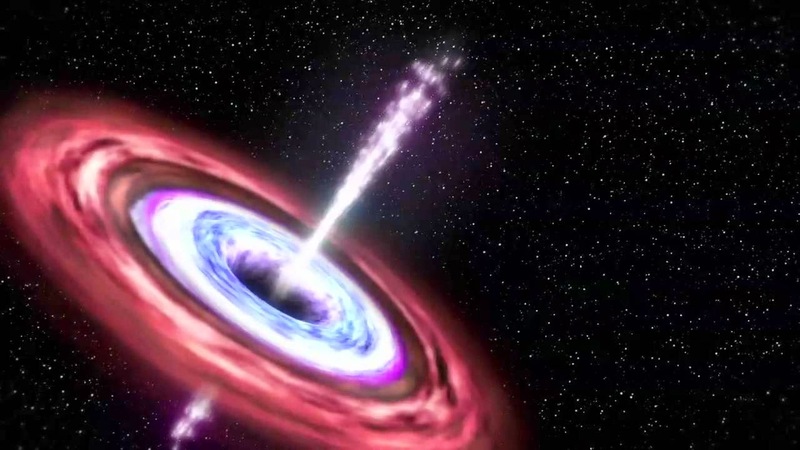 4) What are black holes and why do they play an important role in the universe? There are two main varieties of black holes. One kind is about the same mass as our Sun. These result from the violent deaths of massive stars. There are probably millions of these in our Galaxy. The other kind, the ones that I research, are supermassive black holes that can be millions or billions of times as massive as the Sun. These monsters lurk at the centers of galaxies, typically only around one per galaxy, and we’re starting to understand that the way they get to be so big has a profound influence on the galaxies themselves. The forces that they produce are so incredibly powerful that they can rip stars apart and send out blast waves that shape the gas and stars that make up the galaxies in which they live. 5) What aspect of black holes are you particularly fascinated by and why? One thing that I’d like to understand better is why some black holes lurk around not doing very much, sometimes for billions of years, and then switch to violent phases of growth. Understanding how they launch jets of material moving at close to the speed of light, and how collisions of black holes disturb spacetime itself, are areas of active research that I hope we’ll get closer to understanding with the new generation of telescopes that we’re building. Join us on Wednesday, March 11th for Steve Croft’s seminar, “Snacking, Gorging, and Cannibalizing: The Feeding Habits of Black Holes“ of UC Berkley in Room 207 at Terra Linda High School in San Rafael. For more information, visit Marin Science Seminar’s Facebook page: https://www.facebook.com/events/1540138222921928/. What makes Polite (pronounced “po-leet”) Stewart stand out from any other person working in the Advanced Light Source department at the Lawrence Berkeley Lab? The answer is that Polite is only nineteen years old. His remarkable story begins with a young boy who has a knack for learning. Ever since an early age, Polite’s parents could tell that he picked up new concepts at a much faster rate than other kids. After being enrolled in the Baton Rouge University at fourteen years old, Polite entered the Timbuktu program there which is designed to focus on studying advanced subjects of English and math. Polite excelled in his academic experience there and became one of the youngest graduates of the university’s 132 year history. His passion for physics can be expressed in his current work with the Advanced Light Source (ALS) at the Lawrence Berkeley Lab. In the interview below, Polite talks about his work at the lab and provides valuable insights on how to strive reach your highest potential level of success. His topic is highly specific so some here are some explanations of terms. How Bright Is It? – The ALS produces light that is one billion times brighter than the sun. This tool offers research in materials science, biology, chemistry, physics, and the environmental sciences. 1. What first sparked your interest in physics? My interest in physics is related to kinetics (motion) Newtonian physics, and that interest was piqued because I knew it would be useful to know about force transmission in the martial arts. It also helped me gain a better understanding of mathematics, engineering, and chemistry via research and self-study; everything is connected. My true interest is bio-engineering. I plan to research neuro-muscular theory to help people improve and repair lost neuron connection. 2. What specific topic are you studying? 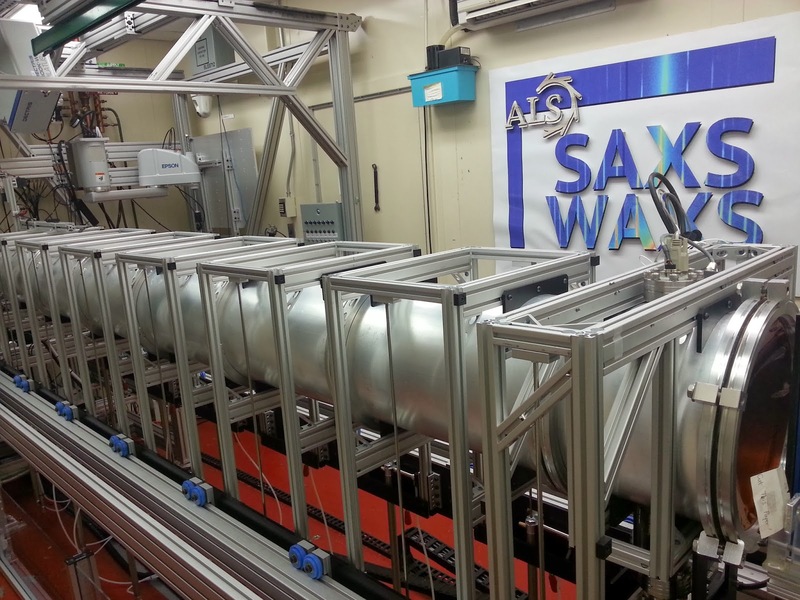 At the moment, I work with hard X-Ray Scattering, specifically Small-Angle(SAXS) and Wide-Angle(WAXS). X-ray scattering is an analysis technique that uses x-rays to determine the structural formation of an object. At my beam line, 7.3.3, we specialize in protein, block co-polymer, polymer, and semi-conductor based samples. Transmission SAXS/WAXS is used to view a sample’s interior; whereas, Grazing Incidence(GISAXS/GIWAXS) is used to look at the surface structure of a sample. 3. You are working with very sophisticated machines and ideas. 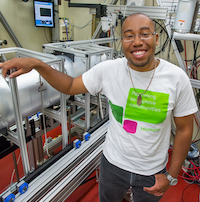 Can you explain to high schoolers what the synchrotron does? A synchrotron is a huge particle accelerator that uses magnets to control electron bunches. The electron bunches are what make up the particle beam that each beam line end station (workplace) uses. The particle beam at our synchrotron is only a few micrometers wide and over 10x brighter than the sun. 4. Why is a synchrotron important? Well, that has a very long answer. The simplest answer would be to state that the aforementioned electron bunches are necessary to irradiate samples and therefore extract data…but, let’s go deeper than that. First, a synchrotron is a just another version of the particle accelerator. So, we must determine why a particle accelerator is useful. Fundamentally, it is known that everything in this world is made up of atoms and molecules. There are smaller particles but we will only concern ourselves with the structures, for now, and not their components. Atoms and molecules are, of course, too small to see with the naked eye so, in essence, particle acceleration is our window into the world of the micro- and nano-structures. How does this work? The electron bunches are sped up to a very high constant speed and then the bunches are sent down each individual beam line’s lead tunnel. The light is then rammed into your sample. When this occurs, the electrons in the beam will then collide with atomic and molecular structure of your sample. This will cause photons (light emission from the bouncing of electrons in particle space) to be emitted. This emission is then recorded and visualized as a scattering profile. This means that a synchrotron is very useful for allowing us to see the unseen. It is one of the many windows that helps us to understand the results of biology, chemistry, and engineering as a whole. 5. What do you hope to learn from this research? This research has only one real goal. It is to speed up the progress of science. At the synchrotron, there is something called beamtime. Beamtime is the experiment time given to each scientist who writes a proposal to use our beam line. This implies that many research groups frequent our beam line and the synchrotron itself. My job, and my employers’, is to aid in the experimentation process. This increases (research) paper output, which in turn increases the output of scientific knowledge, and eventually improves consumer life (i.e. you). 6. Is this something that will help everyday people or businesses? Or both? The research that we do at the Advanced Light Source (ALS) is designed to help the commercial (consumer) and financial (business) sectors because helping the commercial automatically helps the financial. 7. How long do your projects take? I have two jobs as a student researcher on the beam line: help the users (various research groups) at the beam line and write programs/make changes to enhance, and increase the efficiency of, the beam line. User assistance only lasts as long as the given research group’s experiments. On the other hand, enhancement of the beam line will never stop. 8. What is a typical day in the lab like? There is no such thing as a typical day, but I would say days normally start off with determining whether users are present. If they are, the whole day is generally devoted to helping them with experiment setup and execution. If there are no users, then the morning might be spent cleaning the beam line and the remaining afternoon would be devoted to programming. 9. Where do you see yourself going? Currently, I see myself working for another year. Hopefully, it will be with Lawrence Berkeley Lab in the life sciences department. If not, I will apply to other labs and try to get a biological position. In the future, I would like to get a Masters in Bio-Engineering, possibly from Berkeley, and then go overseas to get my PH.D. and do my post-doc in Japan. 10. What do you recommend high school students do to get involved in research? This is a difficult question. The first step is to cultivate and maintain a self-driving spirit and will. From a different take, I’m saying that, first and foremost, the level to which you want to learn determines how much you learn. Effort and excellence are proportional; even you don’t see the results immediately. Now that effort has been determined as the essential element, let us discuss the limiting factor: resources. Resources (lab equipment and opportunities) are hard to acquire and difficult to locate. However, there is a hack…and then there’s a cheat code. I know they sound the same but they most certainly are not. The cheat code are summer programs. Look up as many as you can, find the ones that interest you, and apply with all the initiative you can possibly muster. Finally, the hack is the ability to network. How do you develop this hack? Talk to anyone and everyone who gives off a positive light. In school, on the street, in the store, at home, and especially at a place you would love to work at in the future. The key to your success is your voice and your ability to use it. When you see a person who could benefit you, address him/her, introduce yourself, and begin to discuss how you could help them and they can help you. Only practice can make you adept at communication, but once you can talk with poise and demonstrate mental rigor…there will be no limiting you or the passion which you hold in your heart. The Collective Energy. “Part 2: The Mad Scientists at the Department of Energy’s National Laboratories” Sept 23, 2013. <http://theenergycollective.com/mstepp/277291/pt-2-mad-scientists-department-energy-s-national-laboratories>. “Advanced Light Source.” Wikipedia. Wikimedia Foundation, 17 July 2013. Web. 03 Nov. 2013. <http://en.wikipedia.org/wiki/Advanced_Light_Source>. The Advanced Light Source – A Tool for Solving the Mysteries of Materials.” Advanced Light Source. N.p., n.d. Web. 03 Nov. 2013. <http://www.lbl.gov/MicroWorlds/ALSTool/>. Learn more about Polite by clicking on the links below. 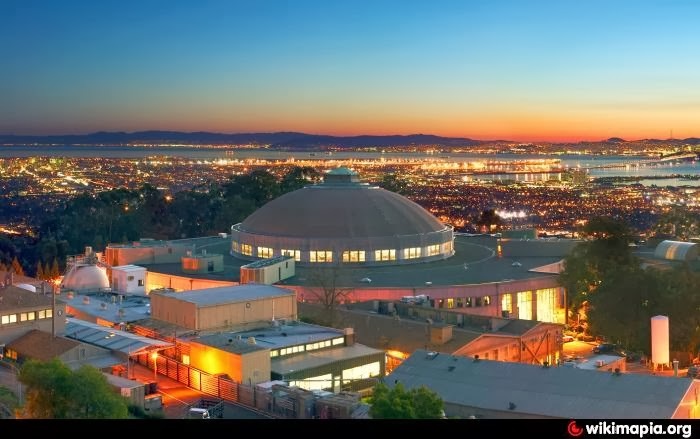 What is the Berkeley Lawrence Lab all about? To learn more about getting involved, click here. Click here to see an interactive map of the Lawrence Berkeley Lab! See the Advanced Light Source Quick Facts in a pdf here. See the flyer for Polite’s upcoming presentation here. Join us for the kick-off to the Marin Science Seminar Fall 2009 season! Detecting nuclear material at ports of entry into the United States and at other locations is a daunting problem but is an essential element of a counterterrorism strategy for the country. A major difficulty in detection is the minimization of false-positive signals from a wide variety of cargo containing NORM, or naturally occurring radioactive material. One technique which looks promising is the use of nuclear resonance fluorescence (NRF) for detecting special nuclear material such as U-235. We have embarked on a five year program at UC Berkeley, called DoNuTS (Domestic Nuclear Threat Security), which looks at various aspects of the th reat detection problem. This program will be discussed, with emphasis on the physics and technology of NRF as well as other aspects including materials science, computer machine vision, sensor networks, and basic nuclear physics research. 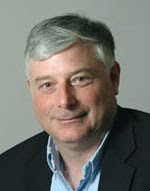 Prof. Edward Morse is a professor of Nuclear Engineering at UC-Berkeley and has a thirty-year involvement in teaching and research at Berkeley in the areas of applied physics, nuclear technology, electronics, and mathematics. Six sessions per semester, twelve per academic year. See the calendar for dates. Science journalism (writing), Videography, Photography, and Social Media focuses available. Founded in spring 2008, the Marin Science Seminar (MSS) is a free event for teens & community in Marin County, California. It includes a presentation with question and answer period and is open to teens & community members. Speakers are scientists, technologists, mathematicians, engineers, medical professionals & computer programmers. Topics presented are in an area of the speaker’s expertise, geared to interested high school students. We also offer internships to Marin County high school students. The Marin Science Seminars were founded and are run by Alfia and Art Wallace. They are supported by the San Rafael School District, and Terra Linda High School’s Academic Excellence Committee.